In June 2017 myself and Lauren headed up to the Lake District with the aim of taking my Hot Air Balloon ride that Lauren had booked for my birthday. Unfortunately the balloon ride was cancelled due to high winds. Nonetheless, we still enjoyed a fantastic and memorable weekend away in the lakes - this was the first time we had explored this region of England properly, as our previous stay was just for one night in Keswick before we headed off up to Scotland. This time we were based 20 minutes to the north of Keswick in the delightful village of Mosedale. 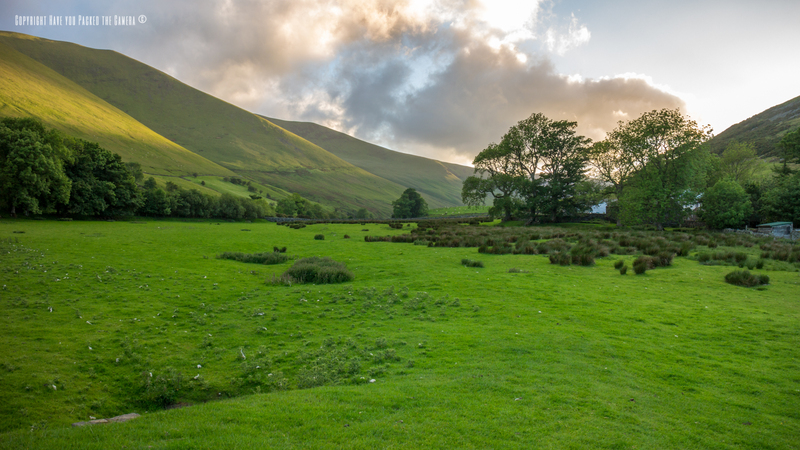 This charming place lies in the shadow of Blenthcara and Knott and has some absolutely fantastic scenery - the whole area is packed full of rolling hills, fields full of cattle and sheep, and quaint farm houses. 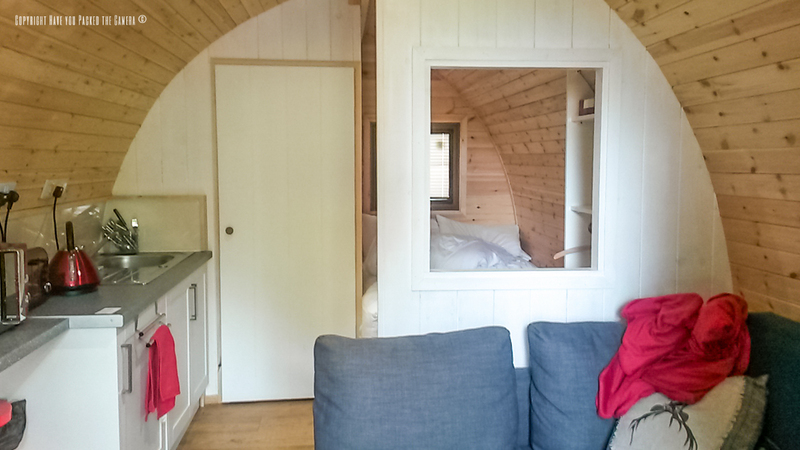 We had the pleasure of staying at Mosedale End Farm Bead and Breakfast, in their fantastic glamping pod. 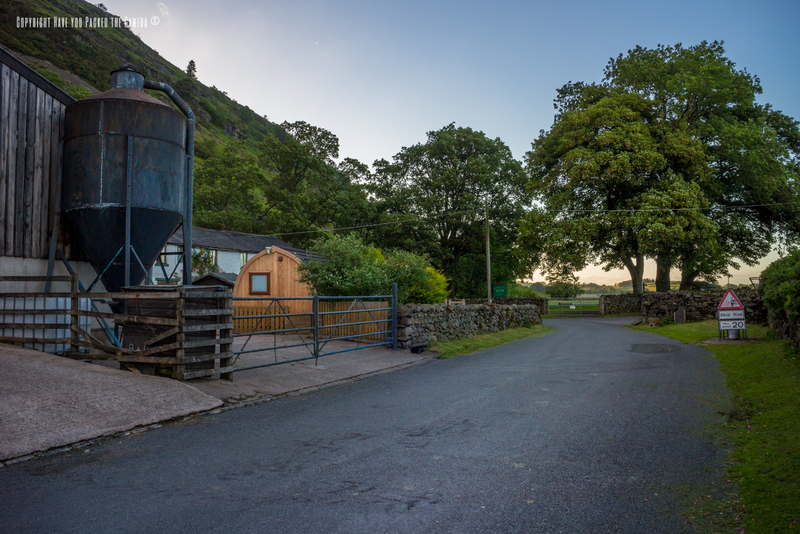 Location - If you want an out of the way location that provides a true escape, Mosedale End Farm is the perfect place. 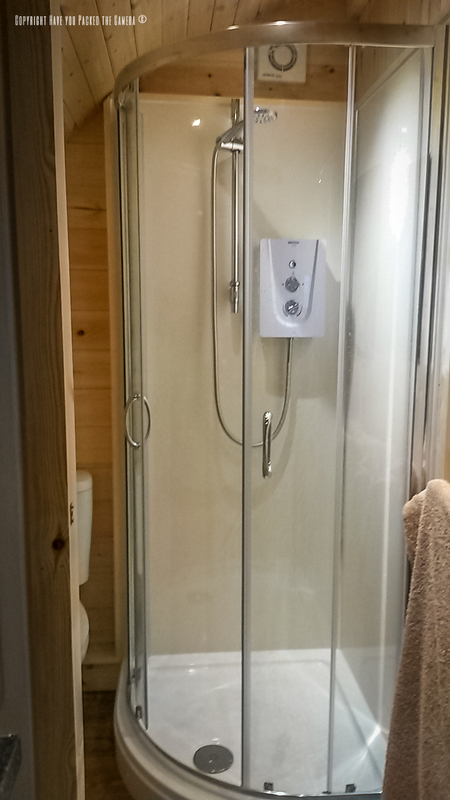 Some people might find that it is too far from local amenities, but we thought it was perfect. 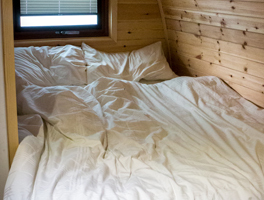 Mosedale is 20 minutes from Keswick (11 miles), 30 minutes from Penrith (15 miles), and only 30 minutes to an hour from the main lakes including Ullswater, Derwent, Grasmere and Windermere. 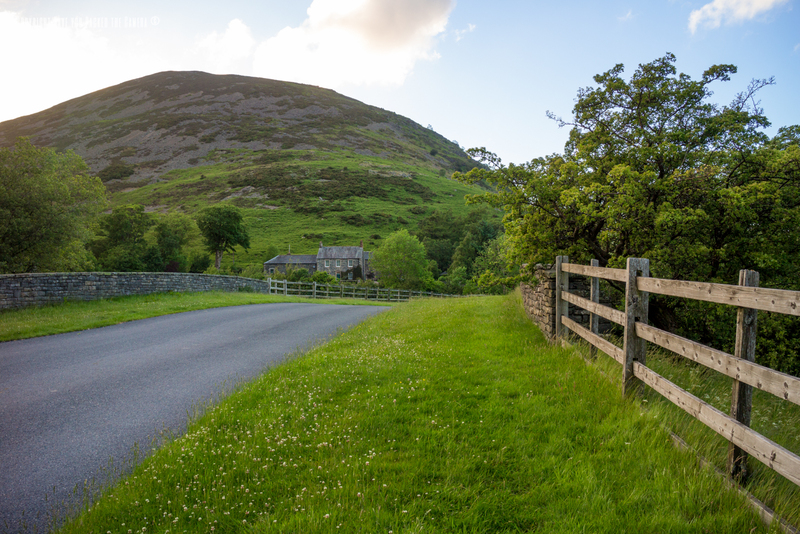 If you are travelling up from the southern parts of the Lakes we would recommend travelling along the A592 which goes through Kirkstone Pass and offers some absolutely sublime scenery. The B&B itself has allocated parking for each guest, and is only a 5 minute drive (or 20 minute walk to the nearest pub). 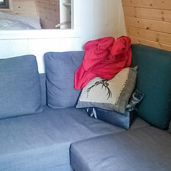 Accommodation - The glamping pod was absolutely fantastic and we could not have asked for more! 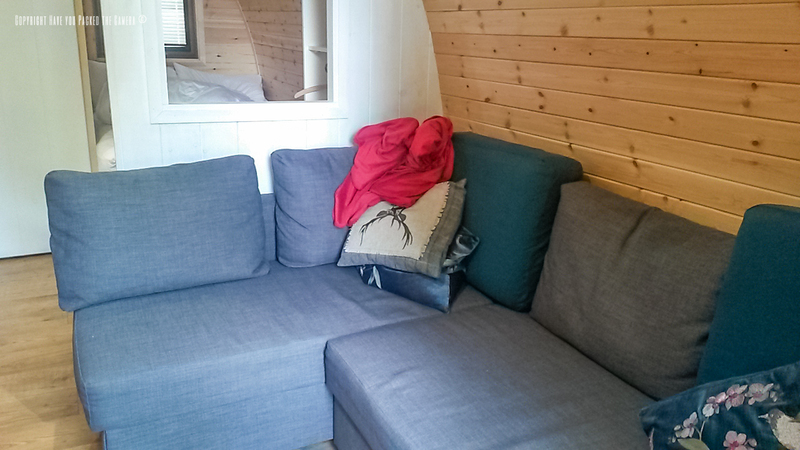 Inside the spacious pod there was a lounge area with comfy sofa, TV and breakfast bar. 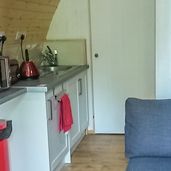 Furthermore there was a little kitchenette complete with microwave, toaster, kettle, fridge and fully stocked utensil cupboard. 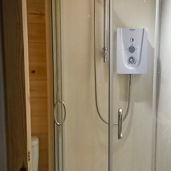 There was even a show and toilet that was partitioned off in a separate section of the pod - the shower was wonderful and had a constant supply of hot water. 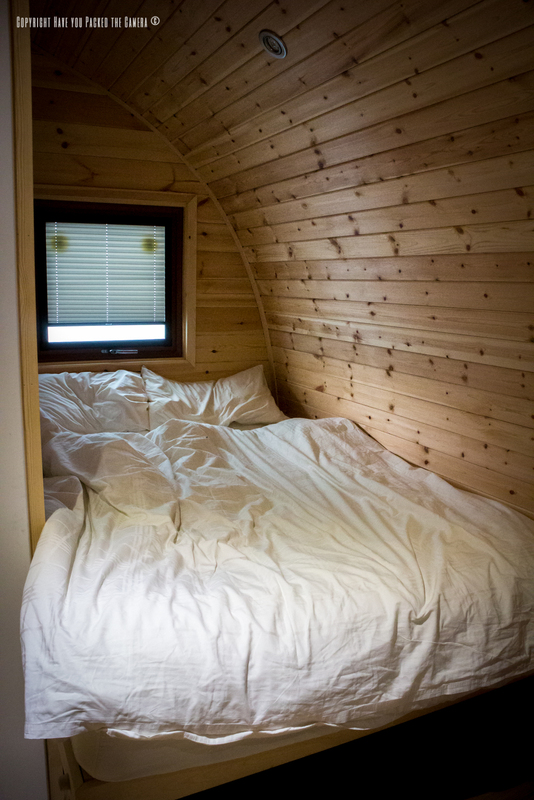 Finally, there was a bedroom at the back of the pod complete with mattress and snug bead sheets. 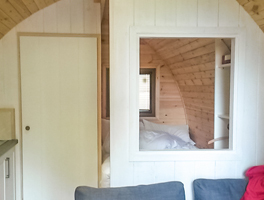 To say that the pod was essentially a wooden hut, it felt so cosy, warm and inviting and the finish and quality of its features were perfect. I had looked at the photos beforehand but they do not do the pod justice - it really was our home away from home! 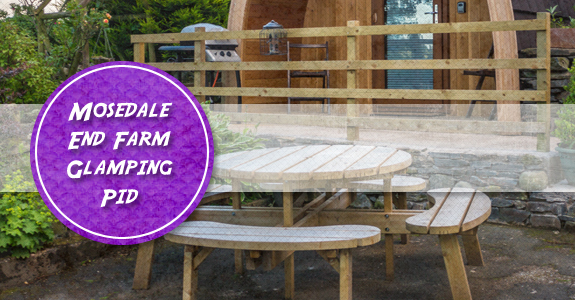 On a side note, if the weather is fine, there is also a patio at the front of the pod complete with a barbeque and outdoor seating. 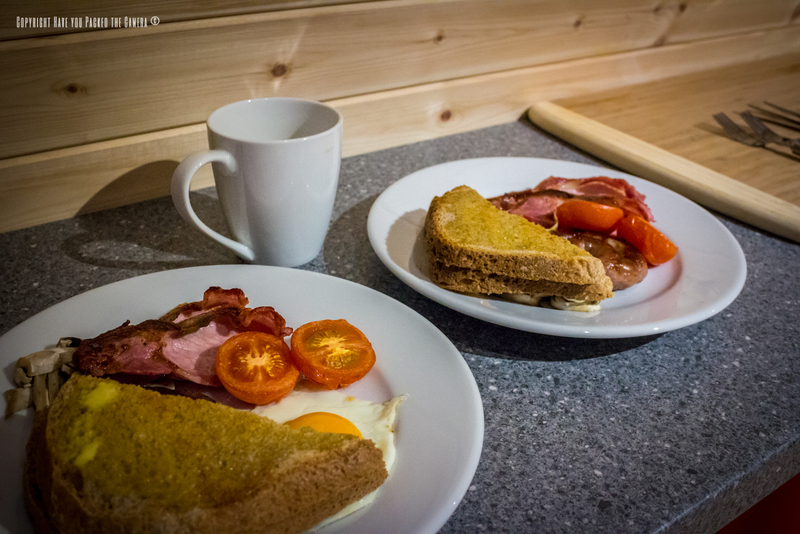 Food and Drink - Whilst the glamping pod is generally self-catering, JoAnne will prepare you a sumptuous breakfast for the small fee of £7.00 each per day. We had breakfast on the first day and it was absolutely fantastic! JoAnne delivered it do our pod with a smile and it included toast, tomatoes, mushrooms, bacon, sausage and egg - everything was cooked to perfection and I thought the sausage in particular was really tasty. For our evening meal we headed to the Mill Inn which was just down the road in Mungrisdale. This pub/restaurant was amazing and the quality of the food was brilliant. I had Cumberland Sausage with mashed potatoes and Lauren had a juicy steak - we thought the prices were reasonable and the staff were really friendly too. In short, Mosedale End Farm was amazing! 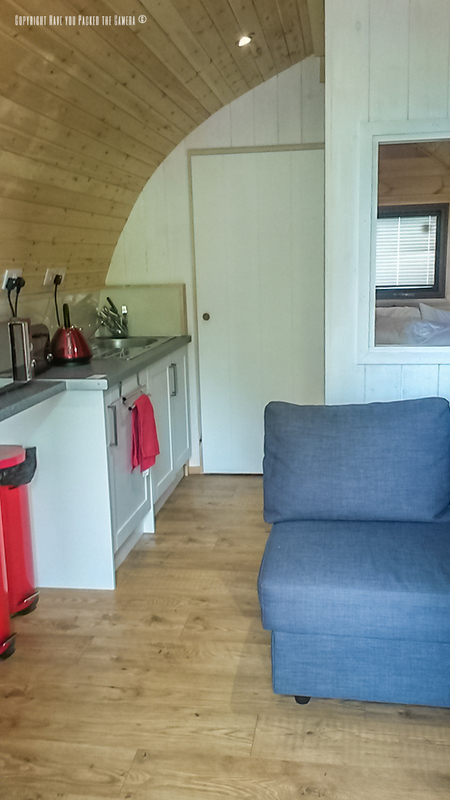 We enjoyed everything about the glamping pod and thought it was extremely good value for money. JoAnne was a fantastic host and she made us feel welcome. If we are up in that area of the country again, we would not hesitate to stop at this delightful bead and breakfast again!